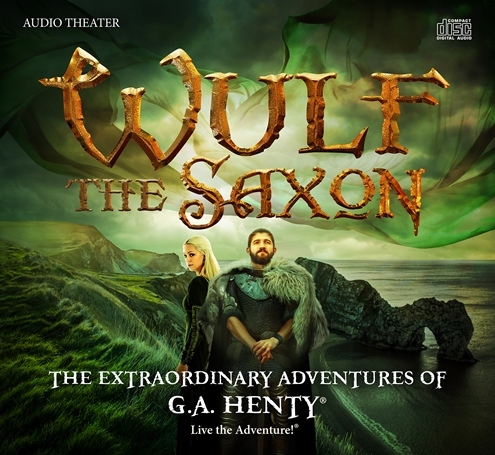 Wulf the Saxon is the ninth audio theater presentation from Heirloom Audio Productions' The Extraordinary Adventures of G.A. Henty series from that we have received for review. This 2 1/2 hour long installment, available both as 2 CD set and digital download, focuses Wulf, who at the start is a sixteen-year-old Saxon page. Wulf's dream is to someday become a Thane and rule his family’s lands. The position and title of Thane predate what we commonly call "Knight," and is awarded to a man who holds himself to the highest standards as both a warrior and honorable man. Wulf learns that meeting the standards of only one isn't enough; Wulf must learn how to behave in a manner worthy of his position. Why? Because how he lives when he's not fighting still reflects upon Earl Harold, and ultimately, the King. This audio drama follows Wulf through the time leading up to the Battle of Hastings in 1066, as Wulf learns the value of friendship, loyalty, and sacrifice. There is most definitely war involved in the story, but the glory does not hide the despair and gruesomeness that is equally involved. There is also a sweet, chaste romance between Harold and Agnes. In a time when most marriages were arranged for security or advancement, without friendship or even merely tolerance between the couple required, this a plot choice for both the 11th-century setting or the 19th century storyteller highlights Wulf's journey to manhood. One could argue that his good fortune to marry for love, rather than for mercenary reasons, was a result of his character's growth. When Heirloom first began releasing their productions, audio dramas were re-emerging from their status as a "lost art." It has enjoyed a resurgence in the "podcast" market, and we've listened to many in search of productions that are as expertly done, and unfortunately, have failed to find anything that captures our attention like these. Some that have been pretty good, but nothing has reached the same standard of enjoyment that Wulf the Saxon and its predecessors consistently have. I really wondered, "What is it that sets these apart?" We've listened to several audio books - one of our favorites is The Wizard of Oz narrated by Anne Hathaway. 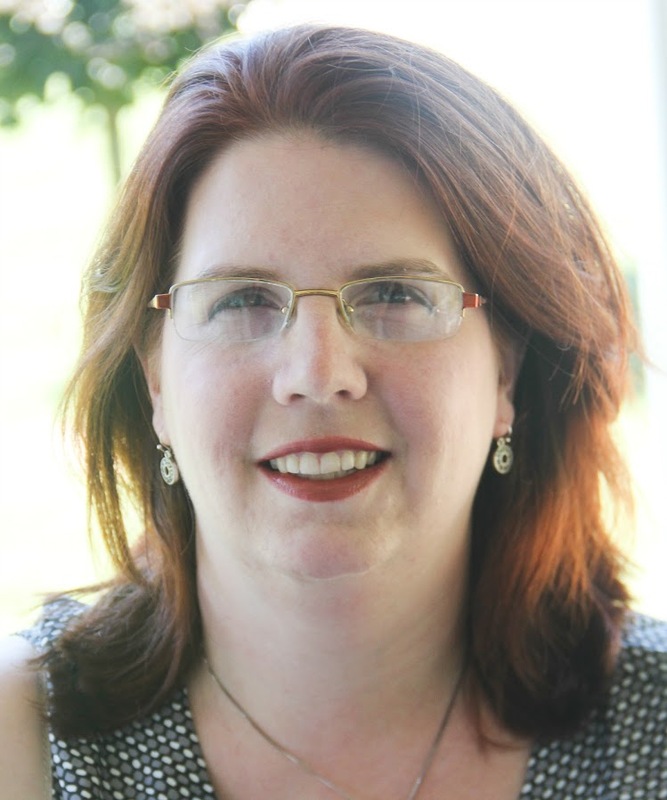 She reads in an emotive voice, changing her volume, tempo, and even tone as she tells the story. But even the most well-read narration doesn't approach the same excitement as a dramatic reading, where individuals bring the characters to life without all of the extra "notes" about what characters are doing or thinking. Heirloom Audio brings the story to life with multiple actors and a dedicated script, so it far surpasses the "read aloud" category. There are plenty of "real life" actors that have voice over careers that begin to eclipse their face roles - there's an entire generation of folks who know Mark Hamill as the voice of the Joker, not as Luke Skywalker. (Heresy, but I digress.) In our house, Heirloom Audio has helped another eclipse his Star Wars role: one of my kids watched "Star Wars: The Phantom Menace" and immediately recognized the voice of Boss Nass, saying, "Hey, he sounds like Mr. George in those CDs." Well, that's because he is. Casting is both consistent and high quality. Blessed has portrayed G. A. Henty in each production, providing continuity within the series, and Heirloom has chosen experienced actors who are established in their fields for other roles. I'm not naive enough to think that name recognition isn't a plus, but the actors chosen are recognized names for a reason -- they're excellent at their craft. The actors embody their roles, even though we only hear their voices. Their voices convey excitement, despair, and everything between. Ideally, you begin to feel the story through vocal inflections. However, I think this is where most of the "audio dramas" we have tried to listen to stop. Many that have billed themselves as "audio dramas" really are better classified as "dramatic readings." Some recordings go further and add music. A new original score for the music is provided by John Campbell for Wulf the Saxon. With an extensive repertoire of audio dramas, including multiple Heirloom productions, on his résumé, Campbell is more than capable of using music to help bring a story to life. Again, the music provides yet another voice in the story, conveying the emotion when words alone aren't sufficient. But anybody wanting to record a story could find some good music to enhance the retelling. I may not have wanted to listen to the music by itself (I always do for Campbell's compositions), but it's still there. So I'm back to my original question: What sets Heirloom stories apart from even a stellar dramatic reading? Like I said, we've now listened to nine productions in the series. Why do we keep coming back to them? What sets them apart so that they've become the standard we use to judge everything else by? It finally became clear after we had listened to this production and then started on another non-Heirloom production that billed itself as an audio drama. It had good voice acting, with actors who stayed "in character" throughout the recording. There was even music to enhance the emotions. But after struggling to keep myself invested in the story when as the story naturally ebbed, I noticed something distinct about the production. There was no Foley. Foley art is the type of thing you don't notice...until you don't notice it. Foley is the "extra" sounds that help propel a story. Imagine watching a door violently thrown shut, but you don't hear it slam. Imagine seeing a horde of swordsmen battling, but you don't hear the clanging metal. Even with somebody narrating "The battle raged on! Arrows flying, swords clanging..." you get the idea, but with well-crafted foley, the listener feels immersed in the action. It invests them in the characters. When there are no visual cues, the Foley becomes critical, painting the pictures in the listener's mind. Todd Busteed is the Foley editor, and I'm convinced he's the unsung hero of the cast. It's the sounds of battle that make Jude shrink back and cover his ears; it's soft footsteps that make Celia lean forward and hold her breath. The narrated, "The ship was again driven against a submerged rock," propels the story, but the sounds of crashing waves and terrified men made me start to shiver nervously. With the added Foley, the listener is drawn in and become emotionally invested, rather than remaining a passive listener. Speaking of active listening, Heirloom Audio has created a special members-only group called "Live the Adventure! Club" Features include a Listen & Learn Audio Library, teaching tools, an online community and several exclusive resources and discounts. When a company produces a series of things, there always seems to be installments that aren't "as good." I will freely admit that Wulf the Saxon, as a story, ultimately wasn't our cup of tea. We have a few Heirloom Audio Productions that are always requested, and a couple that get put aside until we're studying that era again. This will probably be one that is shelved until we next study the Middle Ages. It's fast-paced and requires active listening (vs. having it on in the car on a long ride). Jude really wanted to listen to the CD but struggled because of his audio processing issues. He loved the production value but became overwhelmed with the plot. I found myself having to say, "Wait, who's doing what where?" a few times - but there were parts I had to focus more on driving than listening. However, Heirloom Audio Productions has once again come up with a fantastic production, and it's one that I would recommend. 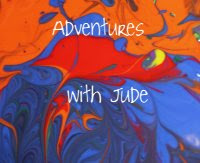 We are already looking forward to the next production! If you'd like to find out more about previous The Adventures of G. A. Henty releases, click the links to find individual reviews. If you're interested in more Crew reviews about Wulf the Saxon, click the banner below.